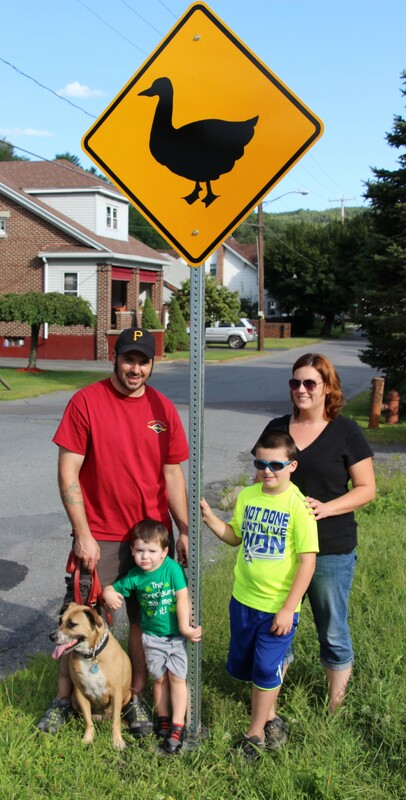 Pictured from left are father Jim Cook, 2-year-old Gavin Cook, Keenan Cook and mother Shanna Cook. 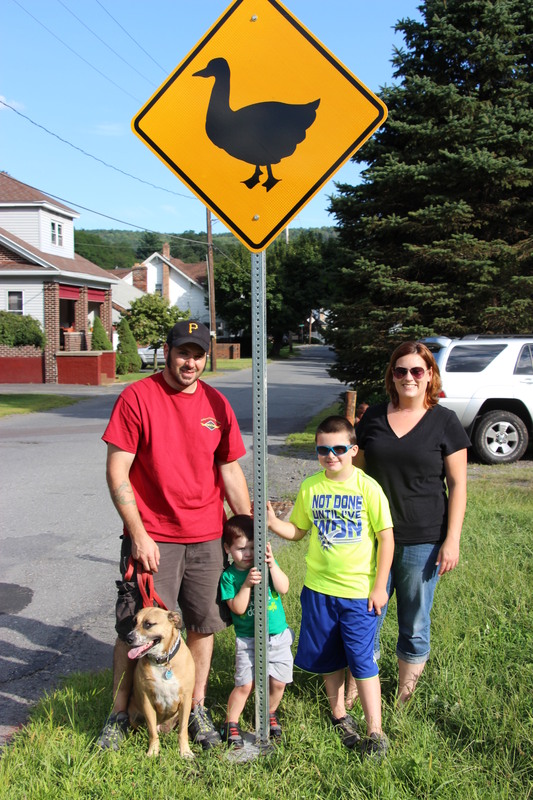 Also pictured is family pet Loola, a 5-year-old mix. 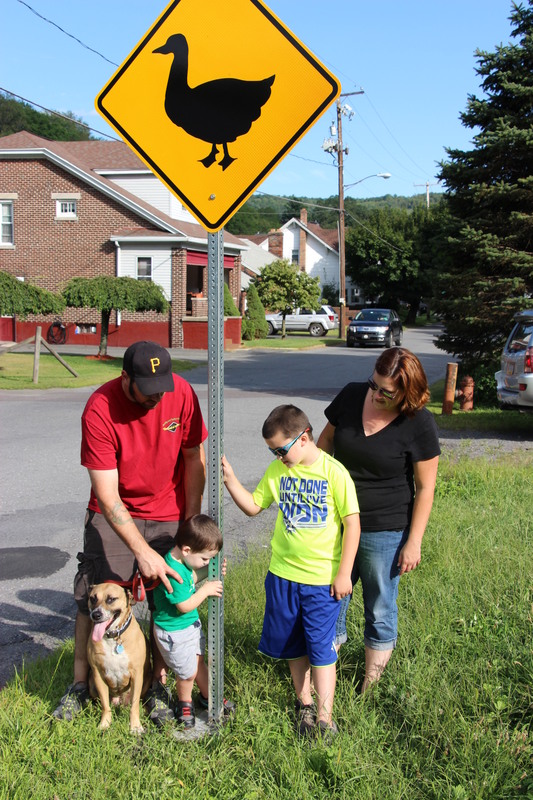 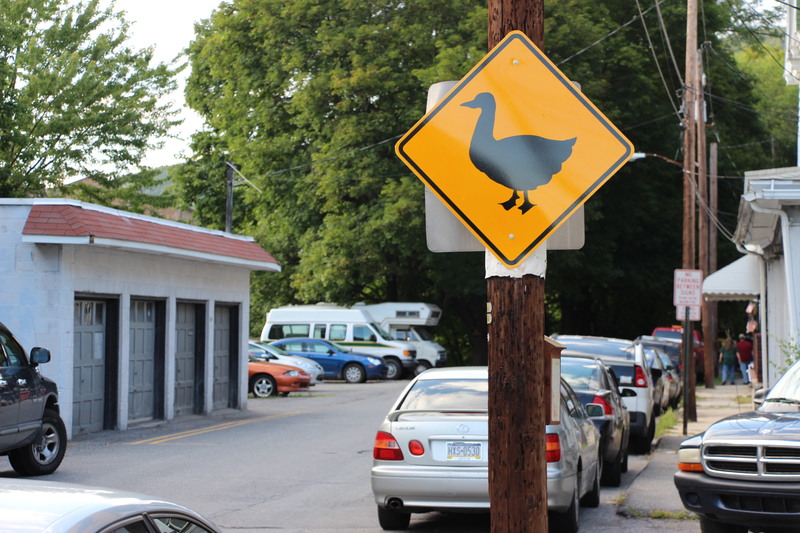 8-year-old Keenan Cook and his family stand below one of two duck crossing signs installed along Schuylkill Avenue in Tamaqua. 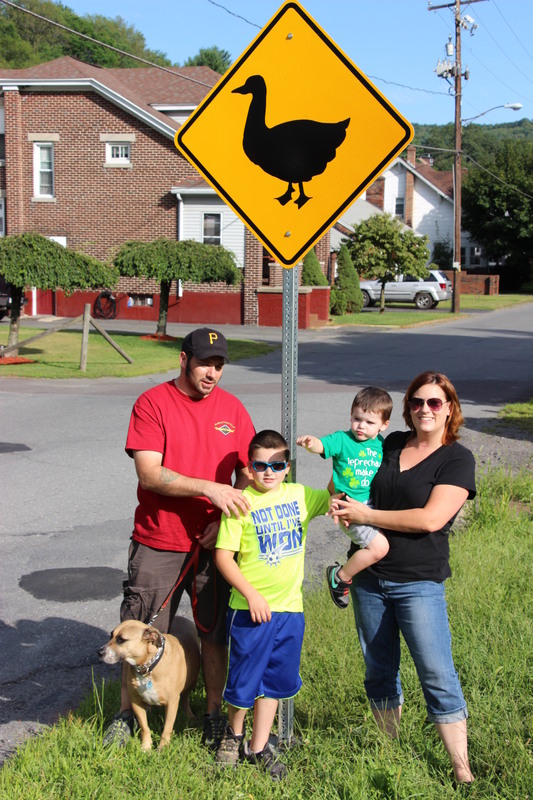 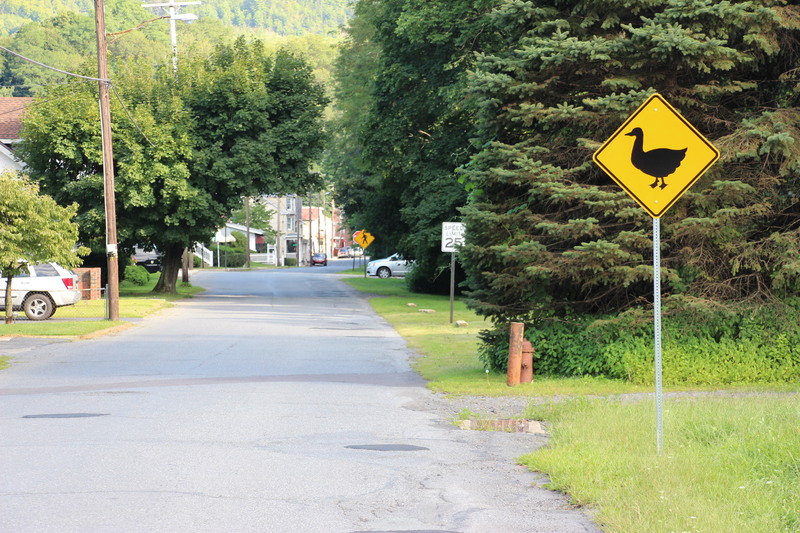 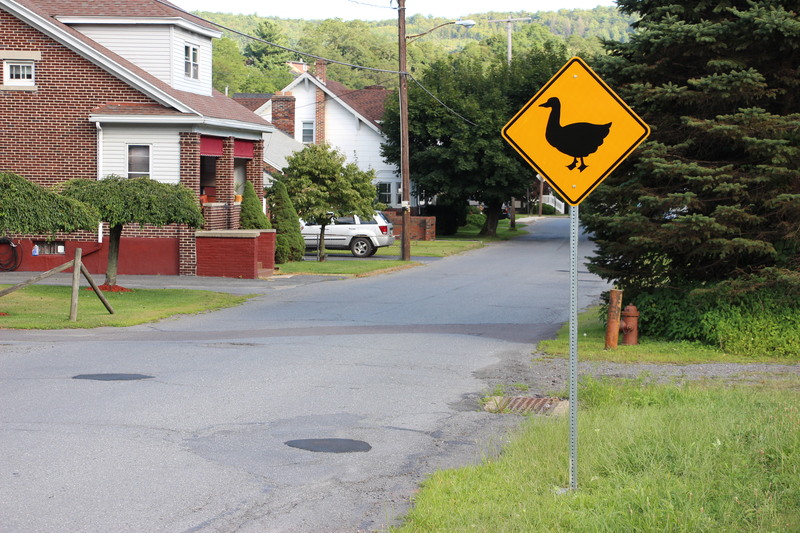 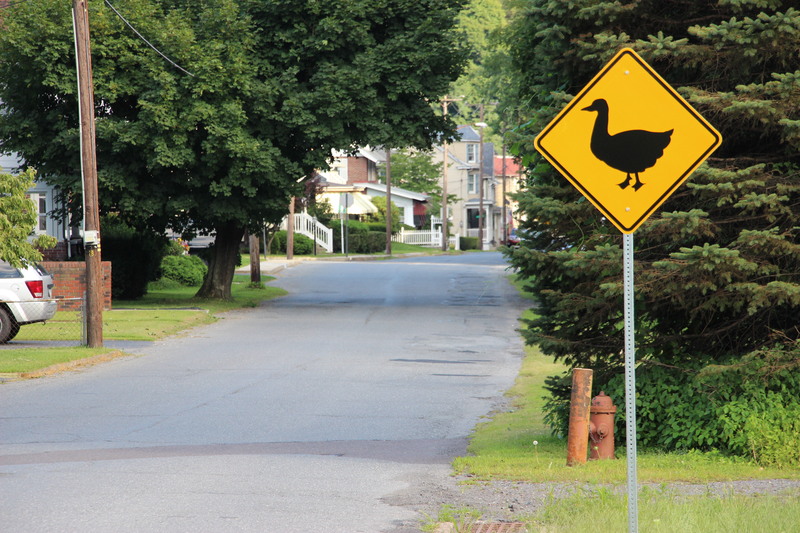 Borough crews placed the signs earlier this month after Keenan wrote a letter to borough council requesting duck crossing signs. 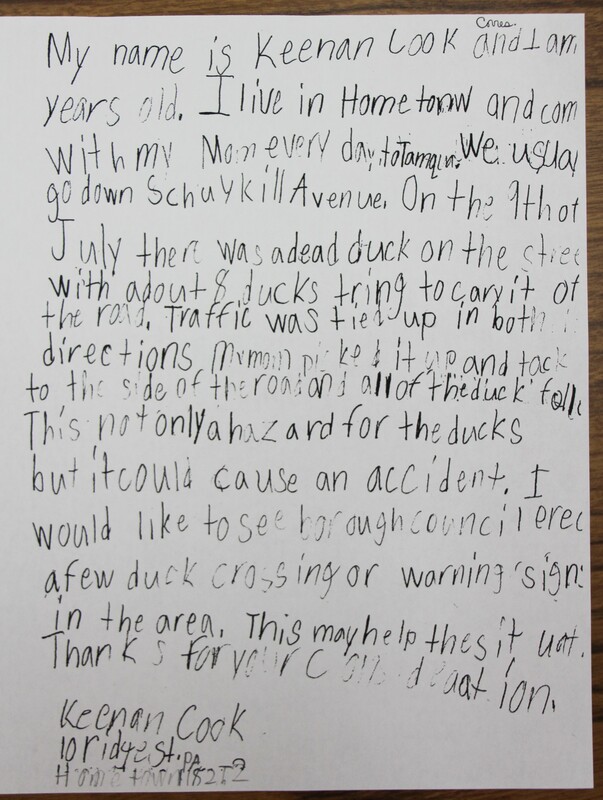 Click HERE to view last month’s story. 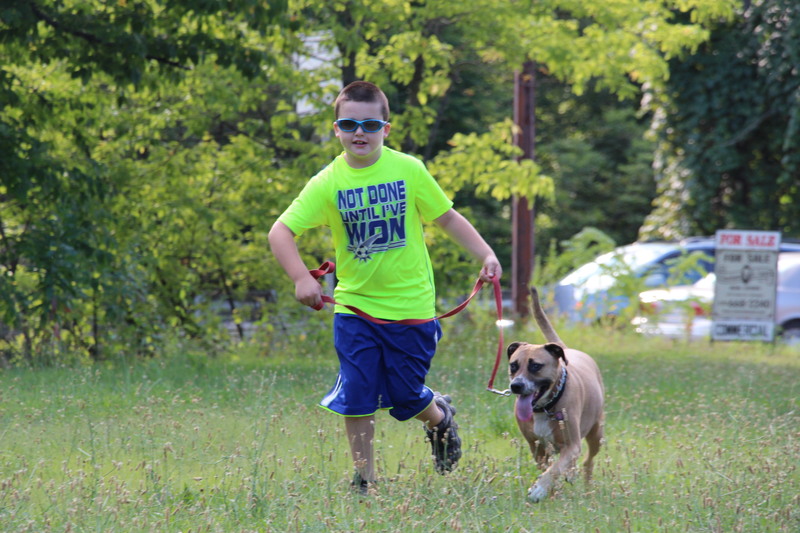 Click HERE to view the photo on Facebook.